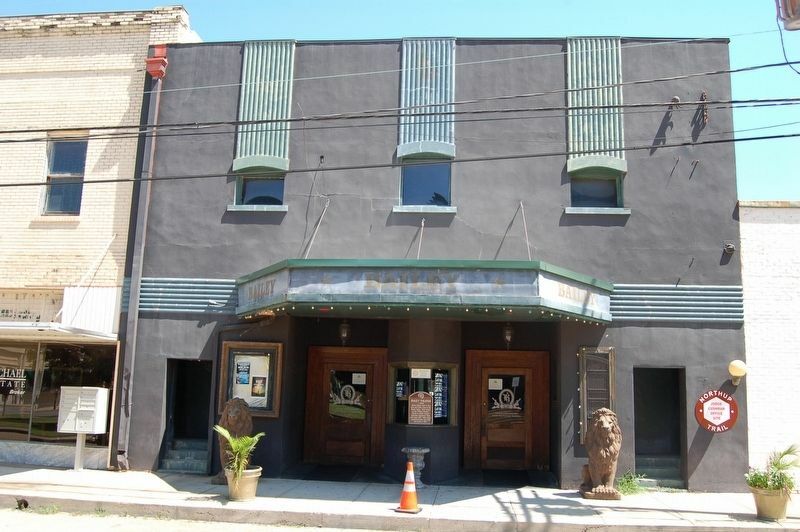 Movie theater built in the Arts and Crafts style by the Mayer family. First known as the "Palace Theater". Home to "silent" movies and later "speaking" films until about 1975. High school commencements were held here prior to 1927. Erected by City of Marksville. Marker series. This marker is included in the Louisiana, Marksville Historical Markers Driving Tour marker series. Location. 31° 7.653′ N, 92° 3.927′ W. Marker is in Marksville, Louisiana, in Avoyelles Parish. Marker is on East Odgen Street near North Main Street (Louisiana Highway 107/115), on the right when traveling west. Touch for map. Marker is at or near this postal address: 113 E Ogden St., Marksville LA 71351, United States of America. Touch for directions. (within shouting distance of this marker); Laborde Building (within shouting distance of this marker); The First Bowie Knife (within shouting distance of this marker); Louisiana's Atchafalaya Basin (within shouting distance of this marker); Auguste Voinche Store (within shouting distance of this marker). Touch for a list and map of all markers in Marksville. More. 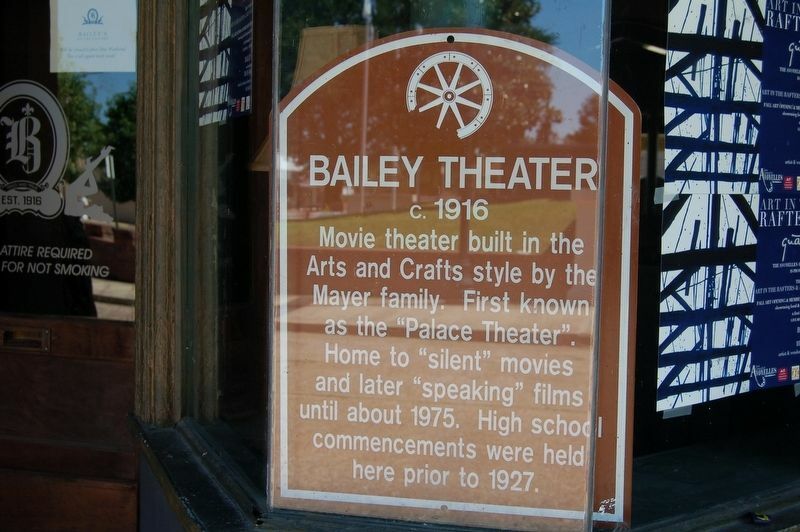 Search the internet for Bailey Theater. Credits. This page was last revised on October 3, 2016. This page originally submitted on September 28, 2016. This page has been viewed 291 times since then and 7 times this year. Photos: 1, 2. submitted on September 28, 2016. • Bernard Fisher was the editor who published this page.